It was a bad feeling before and it was no better this time. It was the second time in two seasons that Boulder City’s varsity softball team allowed its lead to get away in the final inning and lost 6-5 to Faith Lutheran. Faith Lutheran’s Cheyenne Kidd hit a two-out, walk-off double to center field to cap a final at bat as the host Crusaders scored three times in the bottom of the seventh inning to rally for a 6-5 victory March 20. The game was reminiscent of last season’s losers’ bracket final in the Division I-A Southern Region tournament when Faith Lutheran scored three runs in the bottom of the seventh to pull out a 6-5 win. Boulder City, which dropped to 6-3 overall, took advantage of an error in the top of the seventh to go up 5-3, but the Eagles were unable to hang on despite getting the first two outs of the bottom of the inning. 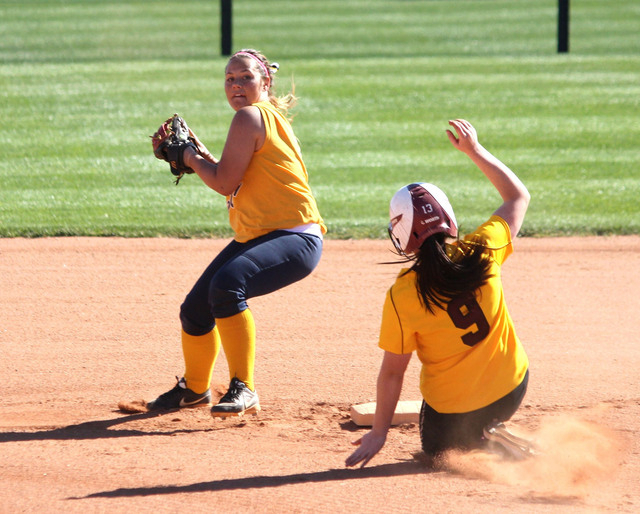 Boulder City first baseman Katlyn Jackson and Kaila Davis each went 2-for-3. The Lady Eagles opened a 3-0 lead in the top of the first on run-scoring singles by Davis and Summer Smith. Eagles pitcher Mickaela Brown retired eight straight at one point and didn’t allow a hit until Mosie Foley doubled in the fourth inning. But Faith Lutheran got five of its eight hits in the final two innings to rally. On March 18, Charlene Masterson tossed a six-hitter to lead the Lady Eagles past Pahrump Valley. Luke Logan and Kyler Atkinson each shot 1 over 37 at Boulder Creek Golf Course to lead the Eagles to a 196-202 win over Foothill on March 24. 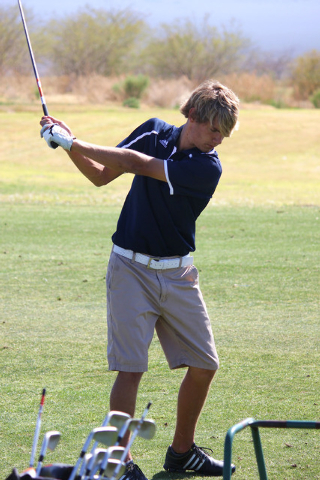 Logan also led the Eagles with a 41 in a loss March 17 to Green Valley, 199-218. Boulder City boys and girls will compete in the daylong Grant Bushman Invitational Friday in Overton. The meet is hosted by Moapa Valley.